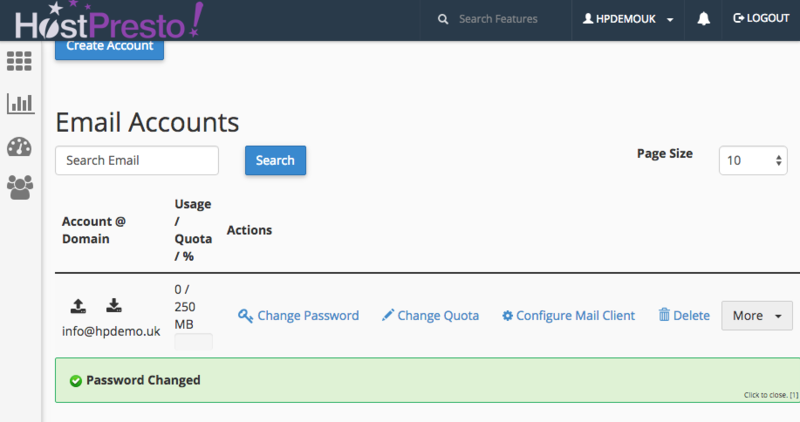 You can change your email account password through your cPanel control panel which is where you manage your hosting account. In the email accounts area, scroll to the bottom of the page to locate the email accounts that you currently have set up on your account. 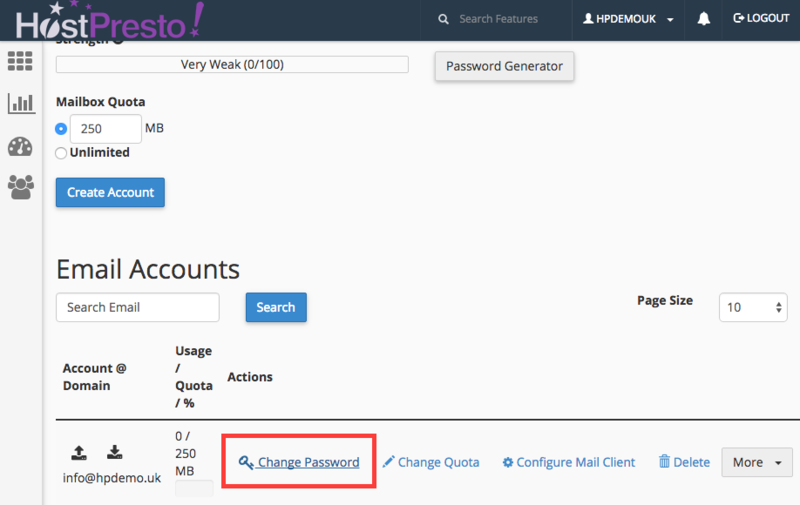 Against the email account of which you wish to change the password for, choose the 'Change Password' option. 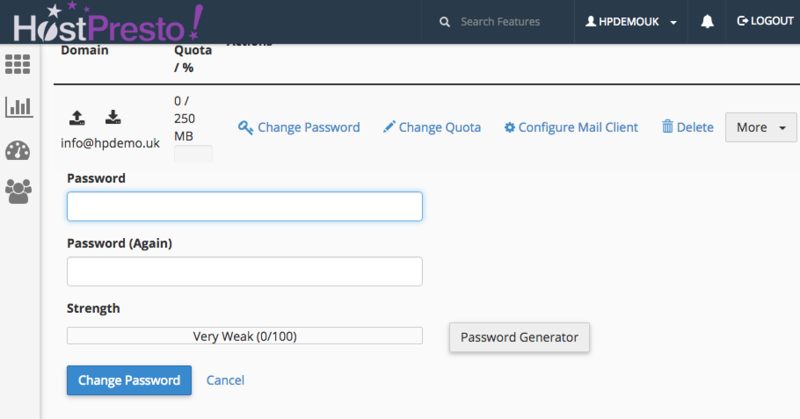 This option will then expand down where you can see the option to set a new password. Password: the new password for the email account. It is recommended that you use a mix of letters and numbers to ensure a strong password strength. Password (Again): repeat the password again. 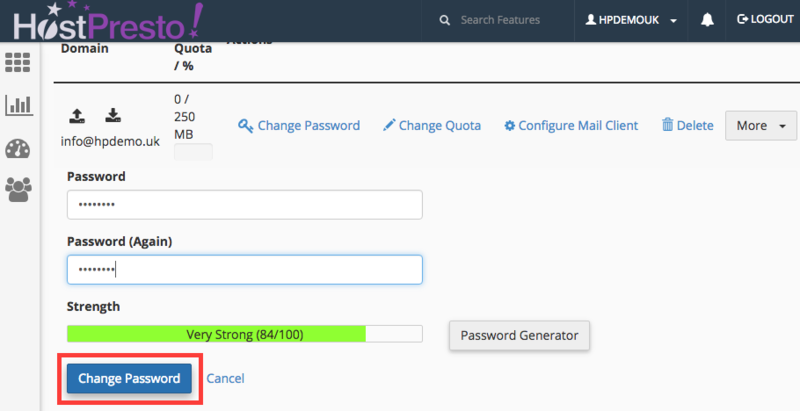 Once the sections have been completed, complete by choosing the 'Change Password' button at the bottom. You should find that the new password has been set and see the following visual confirmation. Changing your email password is now complete.